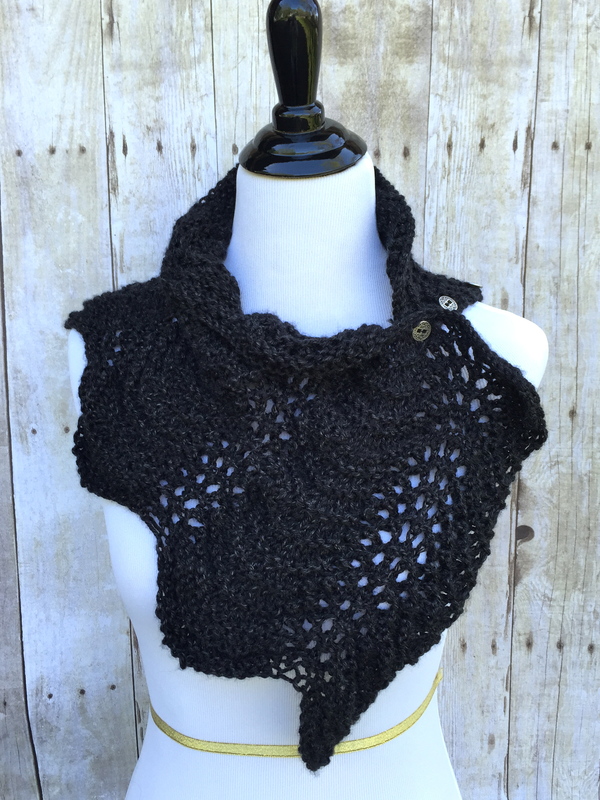 Writers Collection: The Shelley Cowl, a free knitting pattern. 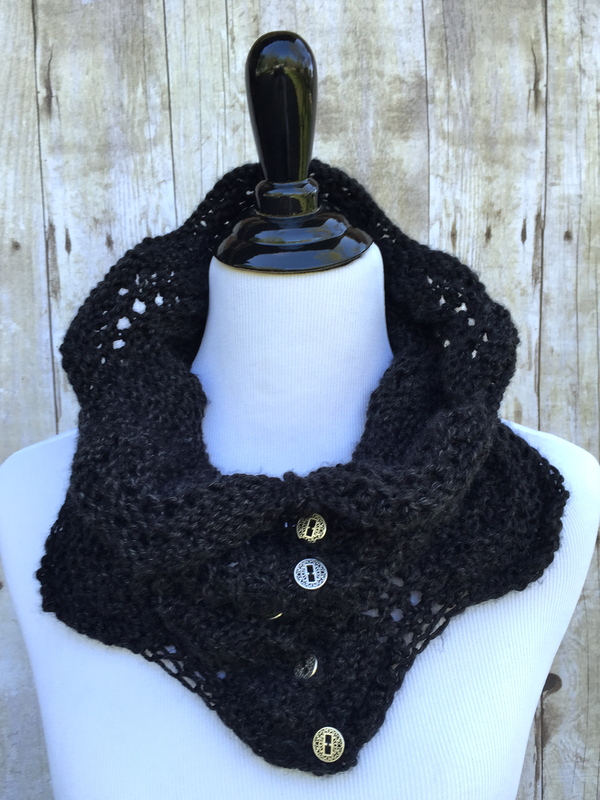 The first pattern in my Writers Collection pattern series is the Shelley Cowl, a delicate scallop and lace knitting pattern with metal button accents. 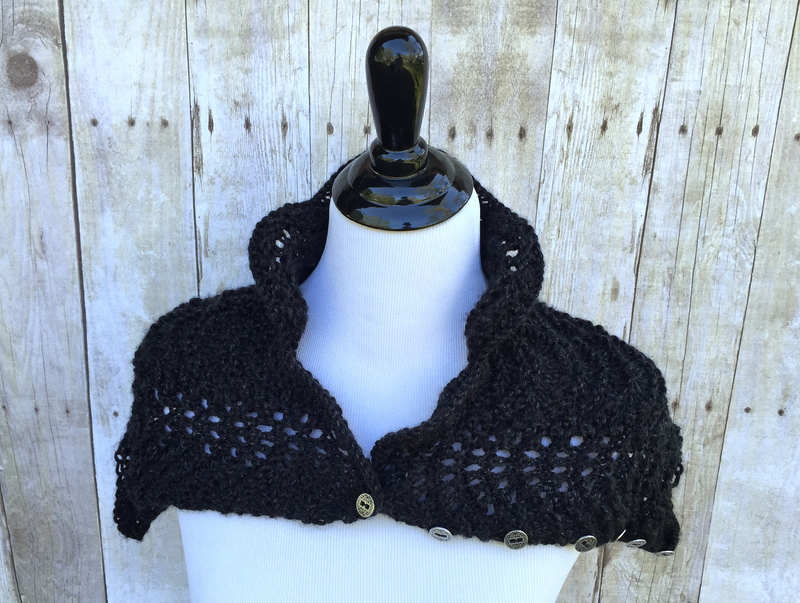 This cowl is inspired by one of my favorite writers, Mary Shelley. Shelley is most famous for her Gothic novel Frankenstein. For me, Shelley’s life was fascinating, surrounded by activists, poets, and Romanticism. In my research about Shelley, one image of her continually pops up, one in which she is dressed in a black gown, the neckline scalloped, an inscrutable expression on her face. 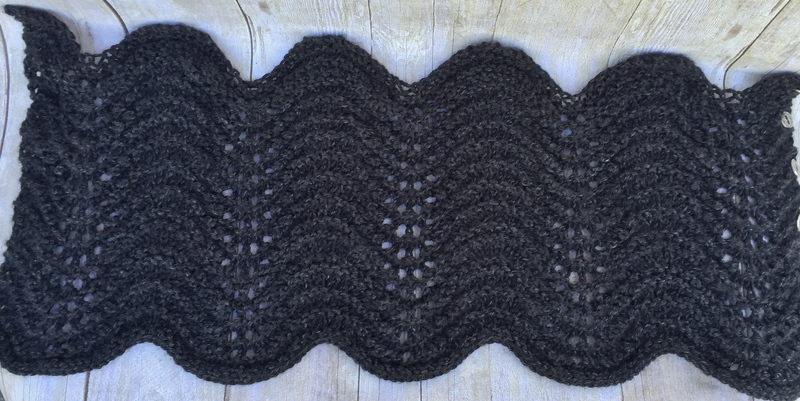 Based on that image, the Gothic nature of Frankenstein, and the Romantic time period, this cowl is the essence Shelley, in my mind: a juxtaposition of hard and soft, dark and light, slightly complex. 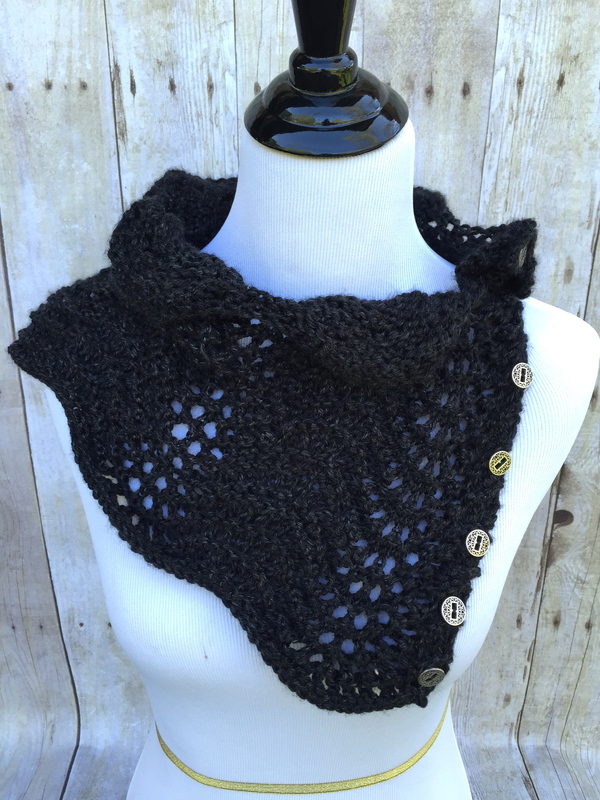 This cowl is knit with worsted weight yarn and size 8 knitting needles. The buttons are roughly 3/4 of an inch, metal. 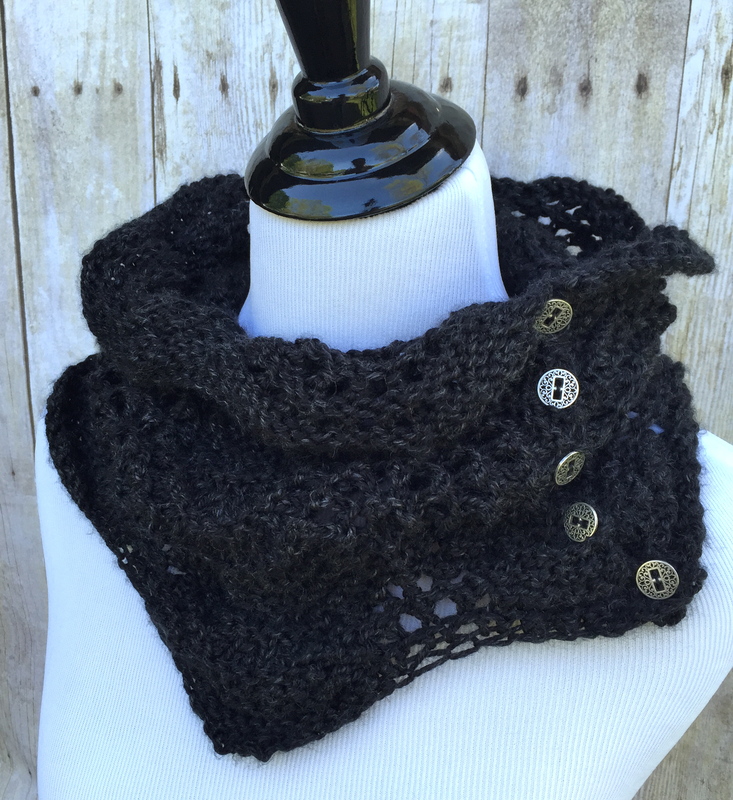 What I love most about this cowl is its versatility. It can be worn a number of different ways, as seen in the photos. If you have questions, let me know. I highly recommend the Lion Brand website for help with any of the techniques and abbreviations used in this pattern. Row 1: (Right Side): *(K2tog) 4 times, (K1, yo) 8 times, (K2tog) 4 times. Repeat from * to the end of the row. Rows 2 and 3: Knit all stitches. Repeat Rows 1-4 until the piece measures approximately 14 inches from the beginning cast-on edge. Sew the buttons evenly-spaced along one of the short ends of the work.